Is this hip-hop ditty this generation's rap version of 'Pare Ko'? It's quite ironic that you can't find the original upload of the official music video for "Hayaan Mo Sila" on YouTube, except for a few short-lived reposts and lyric videos, while the song is blasting almost everywhere. The biggest thing to happen recently in local hip-hop, Ex Battalion (Bosx1ne, Flow-G, Skusta Clee, Emcee Rhenn, King Badger, Brando, KentMNL, Bullet-D, Mckoy, Jekkpot, Cent, and Reid Villavicencio), clarified in a statement through Facebook, then during a recent interview on Kapuso Mo, Jessica Soho that a copyright dispute led to the deletion of the MV that has already garnered over 13 million views. But that massive hurdle didn't stop the rap group's metoric rise. Released November last year, the megahit has spawned countless parodies, dance covers, and reaction videos. Their Wowowin guesting, which has also been taken down, held a spot in YouTube's trending list for some time. Really, though, what makes the heavily panned "Hayaan Mo Sila" so pleasing to the ear? Never mind the excessive use of auto-tune and obvious Western rapper pegs, it is one hella catchy tune. That is most likely the reason the hip-hop ditty can be heard from an officemate's desk, during drinking sessions, inside public transportation, and even at mall kiosks. A musician who wishes to remain anonymous confirms our pop song theory: "Nasa four-chord pattern siya, family chords in major scale. Lahat yun iisa ang chord pattern. Nag-iiba lang sa groove, accent, pati pagkanta. (In this case, more on lyrics) pero kasama pa din yung music, kelangan talaga ng magandang melody." Despite critics hitting the song for its misogynistic lines, more listeners can relate to the familiar angle of a jilted lover troubled by the prospect of moving on. It's no secret that Pinoys have a soft spot for tales of unrequited love. After all, we're the same people who made hugot a thing. Yung alam mo na tao lang"
If you analyze the words, "Hayaan Mo Sila" is basically some friends encouraging a brokenhearted buddy to pick up the pieces by using rhyme and reason. Sound familiar? We'll go as far as calling it arguably this generation's rap version of "Pare Ko," only laced with a little less angst and pride. Lastly, it's a certified hit because of the novelty factor that makes it so radio-friendly. Admit it or not, Pinoys are easily drawn to these type of songs no matter how corny or cheesy, particularly when it comes to hip-hop (e.g. Andrew E, Salbakuta, Abra's "Gayuma"). 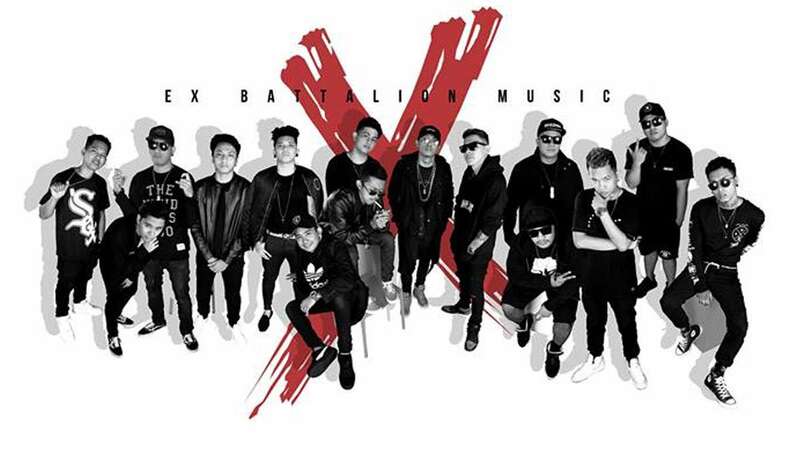 And with the advent of self-expression, Ex Battalion has gotten more encouragement than disapproval even with the group's suspect fashion and cringeworthy mannerisms. This isn't a matter of their fans being jejemons; it's just that a larger demographic identifies with these bars. To the few bashers, Ex Battalion just practice what they preach.